The top 53 players from this week’s Stroke Play Championship competed today in Rounds 3 & 4 at Millwood Golf and Racquet Club. These players made it through the 152-stroke cut from the original field of 106 golfers. Round 3 tee times began at 8:00 this morning off holes 1 and 10. At the start of this round, John Fuchs (Springfield) held a 3-shot lead over Ryan Sullivan (Arnold). Fuchs shot a 72 but managed to hold on to his lead at the conclusion of Round 3. Players had a short break for lunch then hit the course again for Round 4. Temperatures rose drastically for this round and created tough conditions but the competitors fought through it and put up a lower scoring average than Round 3. In Round 4, Chris Obert (Ozark) fired a 3-under 68 to capture the lead and claim the title of Missouri Stroke Play Champion. Obert, a member of Missouri State’s golf team and a member of Millwood G&RC, used his course knowledge and skill to take the victory. Chris shot back-to-back 67s in the first two rounds of the tournament followed by a 73 in this morning’s Round 3. In Round 4 Obert carded 5 birdies, 11 pars, and 2 bogeys. He had a four-day combined total of 279. Nick Westrich (Farmington) came in at a close second with a total score of 280. Dylan Bekemeier (Springfield) and John Fuchs (Springfield) tied for third place with scores of 283. The Missouri Golf Association paid out a total $5,300 in pro-shop credit to the top 25 players with 1st place receiving $750. The MGA would like to thank the staff of Millwood Golf and Racquet Club for all their efforts throughout the week as well as all the competitors for making it a great tournament! Congratulations again to our 2018 Stroke Play Champion, Chris Obert! 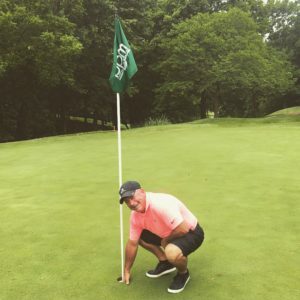 The Missouri Golf Association is a non-profit organization whose purpose is to promote the best interests and true spirit of the game of golf throughout the State of Missouri. The MGA conducts several statewide championships each year, including the Women’s Amateur Championship. The MGA distributes an annual schedule of tournament events and entry forms for each event. Provides advice and information for golf, handicap and rules chairpersons, and provides educational seminars. Round 2 of the 2018 Stroke Play Championship began this morning at Millwood Golf and Racquet Club. Tee times began at 7:30 this morning and ran until 1:10 this afternoon. Players had much cooler weather and beautiful conditions for today’s round. After his second round, John Fuchs (Springfield) sits in the lead with a two-day total of 134. Fuchs fired back-to-back 4 under scores of 67. Today he carded a total of seven birdies, eight pars and three bogeys. He currently has a 3-shot lead. Chasing Fuchs is Ryan Sullivan (Arnold) with a two-day total of 137. Sullivan was tied with Fuchs after Round 1 when the two shared scores of 67 but fell three shots back after turning in a one-under 70 for Round 2. After today’s round, the field was cut to the low 50 and ties at a score of 152 for a total of 53 players advancing. Play will resume tomorrow morning at 8:00. Golfers who advance to the final day will play two 18-hole rounds- one in the morning and one in the afternoon. We look forward to naming the 2018 Missouri Stroke Play Champion at the conclusion of tomorrow’s round! Follow tomorrow’s action on our website and @MissouriGolf on Facebook, Twitter, and Instagram! 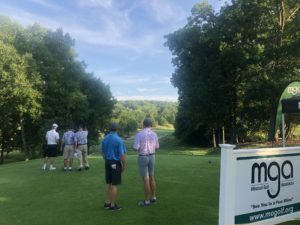 The Missouri Golf Association is a non-profit organization whose purpose is to promote the best interests and true spirit of the game of golf throughout the State of Missouri. The MGA conducts several statewide championships each year, including the Stroke Play Championship. 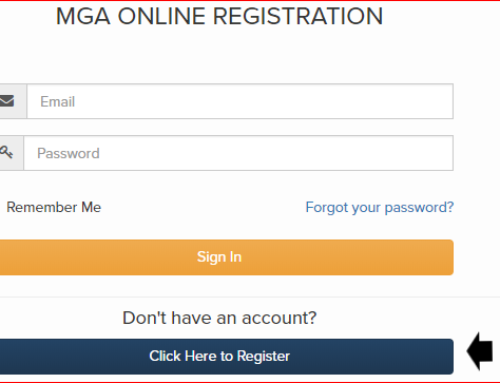 The MGA distributes an annual schedule of tournament events and entry forms for each event, provides advice and information for golf, handicap and rules chairpersons, and provides educational seminars. Players teed off for the first round of the 2018 Stroke Play Championship today at Millwood Golf and Racquet Club in Ozark, Missouri. 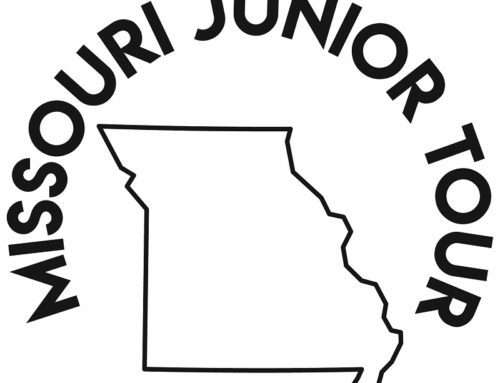 The Missouri Golf Association welcomed 105 golfers to this week’s competition. While there were several scores under par, the course and especially the greens proved to be a challenge for the players. After Round 1, John Fuchs (Springfield) and Ryan Sullivan (Arnold) share the lead with 4 under scores of 67. Fuchs carded one eagle and four birdies for the day along with eleven pars and two bogeys. Sullivan carded seven birdies, eight pars, and three bogeys. Immediately following Fuchs and Sullivan are Gabe Wheeler (Sikeston) and Travis Mitchell (Rogersville) with scores of 68. There was a total of 9 players under par today. Round 2 begins tomorrow morning at 7:30 off Hole 1. At the conclusion of tomorrow’s round, the field will be cut to the low 50 and ties. Pairings for tomorrow and scoring can be found on our website, mogolf.org. Stay up-to-date on the 2018 Stroke Play Championship by following @MissouriGolf on Facebook, Twitter, and Instagram! 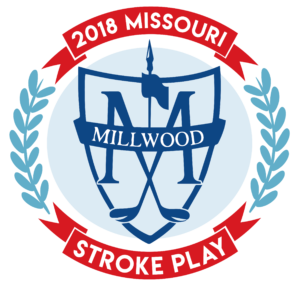 The Missouri Golf Association is thrilled to host the 21st Annual Missouri Stroke Play Championship at the Millwood Golf and Racquet Club in Ozark, Missouri from July 17 to 19. Last year’s event was hosted at WingHaven Country Club in O’Fallon, Missouri. 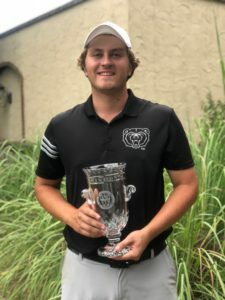 Sam Migdal claimed the title after shooting 74, 71, 71, 69 for a three-day total of 285. Midgal will not be returning this year to defend his title. The inaugural Stroke Play Championship was hosted in 1998 at the Millwood Golf & Racquet Club where Doug Diemer, a St. Louis native, claimed the very first title. Since then, Skip Berkmeyer, from Wildwood, has taken the Stroke Play title twice, once in 2013 at the Meadowbrook Country Club and another in 2016 at the Dalhousie Golf Club. Previous champions that will be returning to this year’s Stroke Play tournament include: Brian Haskell (2011), and Wayne Fredrick (2001), and Bobby Godwin (1999). This year’s Championship will consist of 105 players. The practice round will be held on Monday, July 16, with individuals playing 18 holes. The Stroke Play Championship will officially kick off on Tuesday, July 17, and players will compete in the first round of 18 holes. On Wednesday, July 18, players will play another 18 holes and the tournament will be cut to 50 players and ties. There will be both an AM and PM round of 18 holes on Thursday, July 19. The AM round will be the third, and the PM will act as the final round. The champion will win an appropriate award and the traveling trophy for one year. Those who finish in the top 25 will receive gift certificates from the pro shop. Tee times will begin at 7:30am on hole 1 both days. The public is welcome and encouraged to come out to support the participants. Throughout the course of the championship, the most up-to-date information, news, and results involving the Missouri Stroke Play Championship can be found on Twitter, Instagram, Facebook, and Snapchat @missourigolf. The Missouri Golf Association is a non-profit organization whose purpose is to promote the best interests and true spirit of the game of golf throughout the State of Missouri. The MGA conducts several statewide championships each year, including the Stroke Play Championship. The MGA distributes an annual schedule of tournament events and entry forms for each event. Provides advice and information for golf, handicap and rules chairpersons, and provides educational seminars.